It is a protocol which was proven to be effective in skin rejuvenation and provides a novel and superior approach. This protocol strengthens skin structure, improves skin elasticity and firmness, fibroblast trophism and prevents UVB-related radiation damage. It also balances humidity, provides effective skin regeneration, physiologic revitalization of fibroblasts/skin. The person who has a smooth, healthy looking, clear skin gains a new energy and shine. Polynucleotides (somon DNA) and hyaluronic acid molecules are completely natural elements and developed by Mastelli Bio-Pharmacuetical. 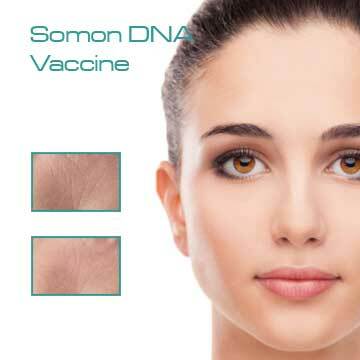 Where can Pi System Somon DNA Vaccine be used? It is proper to use at every affected surface. Sagging and stria in inner arm and knee. What is the duration of effect of Pi System? Its effects begins at the first session and gradually increases, the effect continues for 12 months. Who can use Pi System? Males, females, young and old persons with all skin types can use the system. What is the expected outcome of Pi System? The following includes the outcomes of 143 subjects. Hyaluronic acid increases with the direction of water molecule to its place. It keeps and stores water molecules for long term humidity. It strengths skin against water loss. Skin regains its shine and elasticity. Returning to a shining, clear, smooth and soft skin! Visible youth is regained with Pi System! Shining skin gains a fresh and energic appearance.